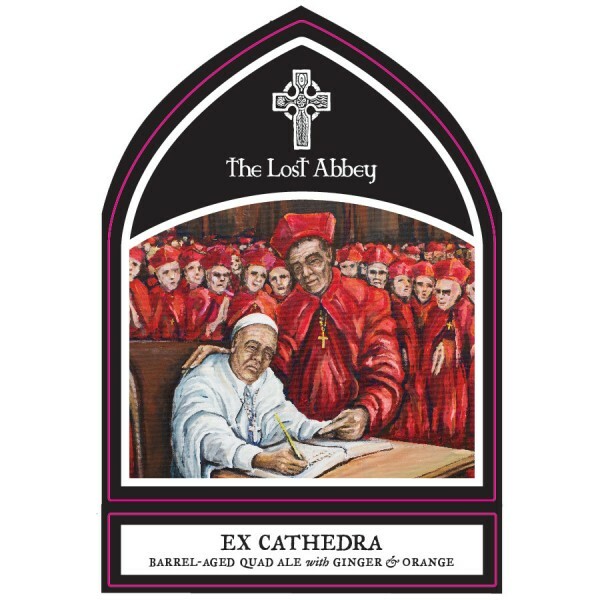 (San Marcos, CA) – The Lost Abbey will be releasing a new addition to its barrel-aged portfolio, Ex Cathedra. Ex Cathedra, the power of the Pope to speak with infallibility was the inspiration behind this new creation. The mysticism behind this rarely invoked power, held in check only by the appointed ones dedication to morality and restraint. A deep contemplative beer with a seldom-used combination of flavors and spices was needed. Beginning with a base of The Lost Abbey’s Belgian-Inspired Quadruple Judgment Day, Ex Cathedra was aged in Bourbon barrels for over 12 months before being spiked with Orange Peel, Ginger, and spices. Aromas of sweet orange peel, bourbon, and licorice from the Star Anise leading to flavors of sweet bourbon, hints of cocoa and a smooth finish with a slight bite of ginger. Ex Cathedra will be available throughout the Lost Abbey Distribution Network in 375ml caged and corked bottles as well as draft. 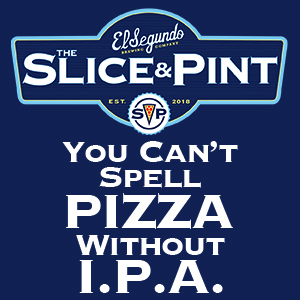 Founded in 2006, The Lost Abbey produces an extensive line-up of continental and American- inspired ales and lagers. 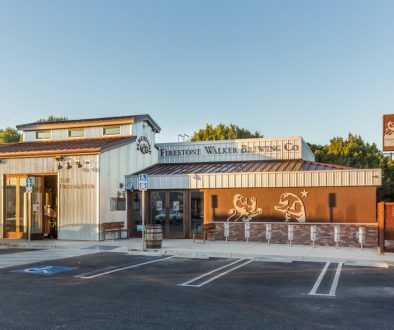 Under the direction of visionary brewmaster and co-founder Tomme Arthur, the brewery has garnered dozens of awards including the 2007 Great American Beer Festival Small Brewery of the Year, The 2008 world Beer Cup Champion Small Brewery and the 2013 Champion Brewery at the San Diego International Beer Festival. 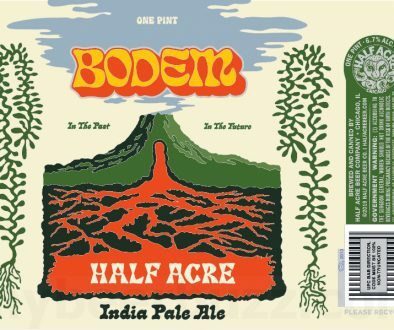 The company’s beers, many of which are aged in oak barrels for 12 months or longer, are universally recognized for their complexity, unique flavors and bold boundary-pushing styles. 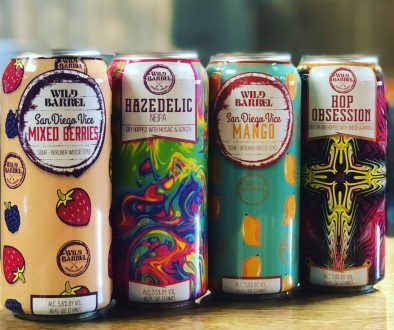 Can Release Daily 4/16/19 – Temescal, RAR Brewing, Grimm Ales and More!